Sixty-two Syrian soldiers were killed and over 100 injured in the airstrike by the US-led coalition Syrian government forces’ positions near the eastern city of Deir ez-Zor. The bombing took place on al-Tharda Mountain in the region of Deir ez-Zor and caused casualties and destruction on the ground, Syria’s official SANA news agency reported on Saturday. Four strikes against Syrian positions were performed by two F-16 jet fighters and two A-10 support aircraft states Russian Defense Ministry. The Syrian General Command has called the bombing a “serious and blatant aggression” against Syrian forces, and said it was “conclusive evidence” that the US and its allies support IS militants. Menwhile, US Department of Defense has admitted that the coalition’s aviation performed combat missions in Deir ez-Zor on Saturday. The US Central Command later has issued a statement, saying that it had no intention of targeting Syrian government forces near Deir ez-Zor. However, an unnamed US military official has told international media that he was “pretty sure” that the targets hit in US-led coalition air strike on Saturday had been Syrian forces. According to him the bombings in Deir ez-Zor were carried out using US intelligence, which was being gathered for days. Voting has begun in Russia’s nationwide election day for positions in the federal parliament and dozens of municipal and regional bodies. Spanning 11 time zones, the voting will take about 22 hours with each polling station open from 8:00 a.m. to 8:00 p.m. local time. This year, 14 political parties are taking part in State Duma elections with some 111.6 million eligible to vote. Voters will choose 450 MPs in the State Duma (lower house), for the next five years. According to the Russian Central Election Committee (CEC), up to 1,500 journalists, representing 154 media outlets, including 85 foreign, were accredited to work during the Russian parliamentary election. China took another step on its long march to a permanent orbital outpost with the launch of the Tiangong-2 orbital module from the Jiuquan Satellite Launch Center yesterday (15th). The launch, conducted by a Long March 2F – took place from the 921 Launch Pad of the LC43 Launch Complex. The new orbital outpost will enable the crews to remain in orbit for 30-day missions. The new station marks a step forward for China, which hopes to send a mission to Mars in the not-so-distant future. The Tiangong 2, whose name means “Heavenly Palace,” will be used to test space technology and conduct medical and space experiments. After this launch, China wants to create a manned space station by around 2022 and the country has said it plans to land a rover on Mars by 2020. At least ten deaths and over 1000 patients have been reported in the last two days from India’s capital Delhi due to chickengunya, a viral disease transmitted to humans by infected mosquitoes. According reports chikungunya and dengue are taking the toll on Delhi and a few other cities across India, with at least ten deaths due to the vector-borne disease reported in the last two days. While the number of chikungunya cases has risen to over 1,000, dengue cases have shot up to 1,158 in the Indian capital with nearly 390 of them being recorded in the first ten days of September. According to India’s National Vector Borne Disease Control Programme (NVBDCP), around 12,255 cases of chikungunya have been reported across the country till 31 August. Karnataka alone has recorded 8,941 cases, Maharashtra 839 and Andhra Pradesh 492. 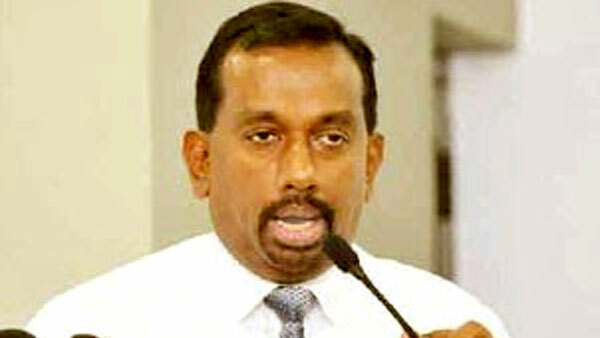 Former Minister of Sports Mahindananda Aluthgamage has been arrested by the CID today (15th) say reports. He was arrested when he came to the CID to give a statement regarding an investigation being carried against him. Russia and the US have announced a new ceasefire plan to end the deadly conflict in Syria. After marathon talks in Geneva on Friday, Secretary of State John Kerry and Foreign Minister Sergey Lavrov said that the two sides had developed five documents that would help to reactivate a failed ceasefire in Syria. The agreement will also include a ban on government airstrikes in specific areas and collaboration on strikes against jihadists, according to Lavrov. The deal was announced by John Kerry, the US secretary of state, and his Russian counterpart, Sergey Lavrov, on Friday night after 13 hours of talks in Geneva and a tense wait while Kerry consulted others in his administration with a phone call to Washington. Both were cautious in describing the deal but said it was a possible “turning point” after more than five years of a brutal war that has killed more than 400,000 people. The plan would need both the Assad government and opposition “to meet their obligations “John Kerry had said. The Syrian opposition had indicated it was prepared to comply with the plan, he said, provided the Syrian government “shows it is serious”. Meanwhile, Russian Foreign Minister Lavrov said Russia had informed the Syrian government about the arrangements and the Syrian government was “ready to fulfil them”. North Korea has stated that it conducted its fifth nuclear warhead explosion test today (9th). A communique released by the The Nuclear Weapons Institute of the Democratic Peoples Republic of Korea states, “Scientists and technicians of the DPRK carried out a nuclear explosion test for the judgment of the power of a nuclear warhead newly studied and manufactured by them at the northern nuclear test ground under the plan of the Workers’ Party of Korea (WPK) for building strategic nuclear force.